A response and reply to the notes on Jonah 1 in the Skeptic's Annotated Bible (SAB). As it is one of the points of this book to make clear that one cannot flee from the presence of the Lord, chapter 2:7, the meaing simply can't be that there are places where God cannot find you. The meaning is either that Jonah went in the opposite direction of where God sent him to, so from the presence is: go from where the Lord wanted him to be. Or the meaning might be that Jonah thought he could flee from the presence of the Lord. The sailors cast lots to see who was causing the storm. And it worked, too (casting lots always does), since the lot fell on Jonah. (1:12-15) Jonah believes that by throwing himself into the sea, the storm will die down. And it worked! "So they look up Jonah, and cast him forth into the sea." 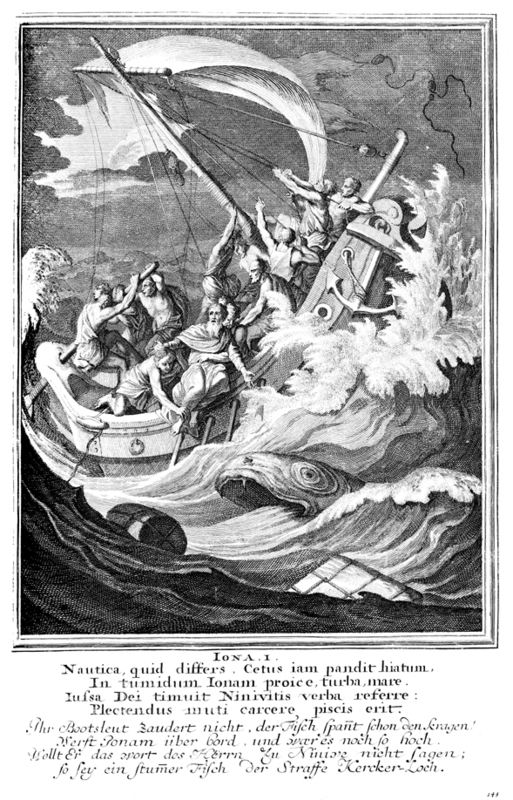 The sailors as well as Jonah perceived this was not a common storm. Jonah saw the hand of God in this, and realised this storm had arisen due to his actions, and would calm if he would no longer flee from the Lord. On who cast Jonah into the sea: the sailors did, but Jonah acknowledges in chapter 2:3 that they were only the hands of God in this regard. It was God who wanted to stop Jonah. (1:15-17) God makes "a great fish" [Jesus said it was a whale (Mt.12:40)] to swallow Jonah. And Jonah stayed in the fish's belly for three days and three nights. The Greek just says big fish, see Matthew 12:40.